The research was conducted by the major independent pollster Levada Center in late January and its results were released on Monday. The number of Russians who claimed their negative attitude to the United States rose to 81 percent compared to 44 percent one year ago. The number of those who perceived the current relations between the two nations as hostile rose from 4 percent to 42 percent in a year. Some 71 percent of those polled claimed negative attitude to the European Union (up from 34 percent a year ago) and 24 percent said that the EU and Russian Federation were in hostile relations, compared to just 1 percent in January 2014. Forty percent of citizens want the Russian authorities to improve the relations with Western nations, but 36 percent hold that Russia must further distance itself from the West. 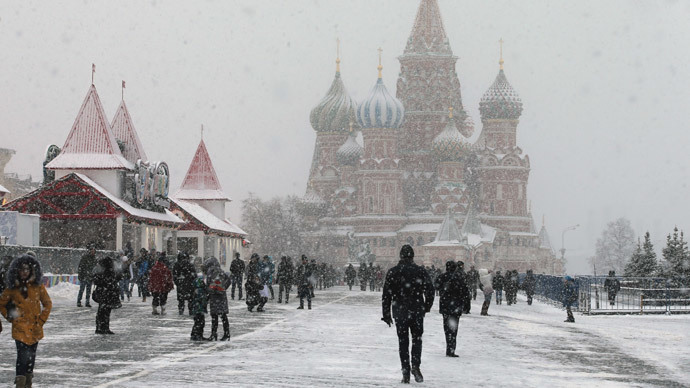 Levada Center’s deputy director, Aleksey Grazhdankin, told reporters that the poll had revealed that the public attitude to Western nations in Russia is now at its worst over the past 25 years. He blamed the situation on the ongoing crisis in Ukraine and on the Western sanctions campaign against Russia. He added that most Russians saw sanctions only as leverage in economic competition. The two countries claiming the most positive attitudes from Russians were Belarus and China with 81 percent and 80 percent respectively. These figures compared to 83 percent and 77 percent respectively in January last year.